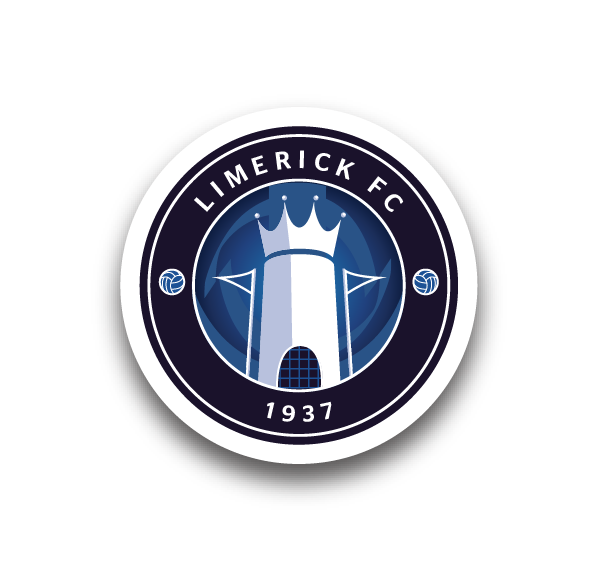 Shane Duggan played a captain’s role as his 83rd-minute screamer gave Limerick a huge victory in their SSE Airtricity League Premier Division survival bid as they saw off Waterford 2-1 in their Munster Derby at the Markets Field on Friday night, where both teams ended with ten men. 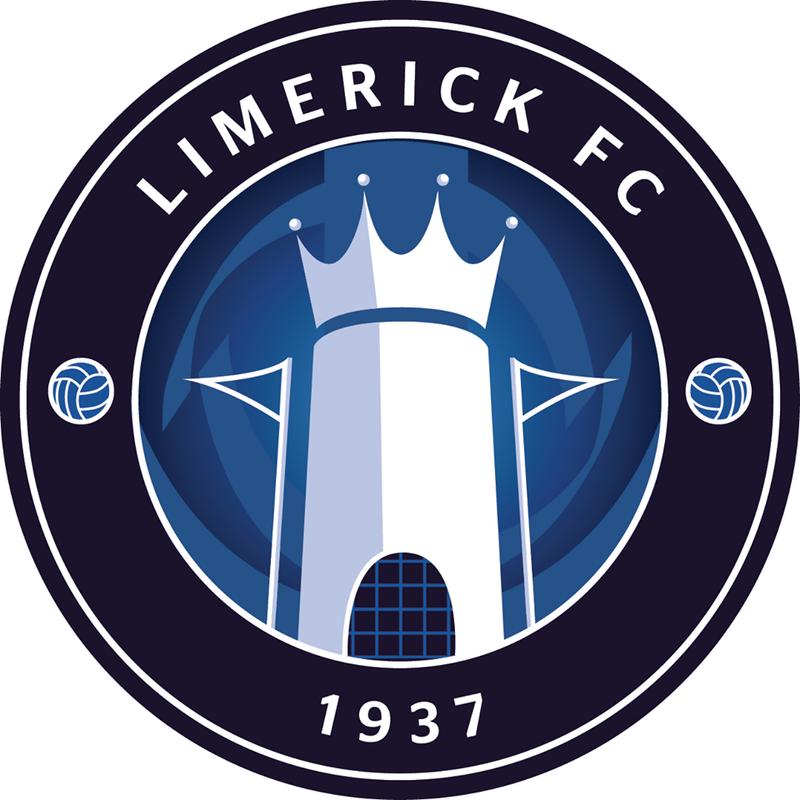 Limerick’s night began in disaster as Eoin Wearen saw red inside two minutes when he brought down Noel Hunt in the box, but goalkeeper Tommy Holland produced a fantastic penalty save from Waterford skipper Paul Keegan. That dismissal left the hosts with an uphill task and they could have been behind before the quarter-hour when Hunt set up Courtney Duffus for a one-on-one but the Waterford no9 slipped at the crucial moment to give Tommy Barrett’s side a let-off. The manager – whose only change for the game from last week saw him recall Cían Coleman to the starting lineup after suspension, in place of Karl O’Sullivan – will have been pleased with his players’ response in difficult circumstances. Connor Ellis had a half-chance on 29 minutes after Will Fitzgerald’s long throw-in caused problems for the visiting defence but the striker’s acrobatic effort flew over. Barrett then opted to bring in O’Sullivan from the bench, replacing Barry Maguire, and Limerick hit the front just moments later when Fitzgerald was fouled in the area by Dave Webster, who was booked. Billy Dennehy, for the second week running, stood up and coolly slotted in from the spot. Stanley Aborah struck the outside of the post with a 20-yard free-kick close to half-time, but in injury-time referee Damien MacGraith levelled up the numbers when Webster was shown a second yellow card following a very poor challenge on Ellis. Within two minutes of the restart, though, Waterford were level when Bastien Héry ran all of 70-yards with the ball and finished beyond Holland. Héry then almost put through his own net as his attempted clearance hit the upright and went behind. Hunt and Kenny Browne threatened for the visitors, who soon introduced Ismahil Akinade and Rory Feely, and the latter’s first contribution was a deflection on an O’Sullivan cross which almost took it into the net. On 69 minutes, Hunt flashed a volley just off target. Danny Morrissey was introduced for the final quarter as Limerick sought a huge goal in their bid to keep top-flight football in the region, and with eight minutes remaining Fitzgerald forced a decent save from Matthew Connor. But there was absolutely nothing the stopper could do about Duggan’s 30-yard rocket as the skipper lit up a wet night at the Garryowen venue, with Limerick going on to see the game out despite late pressure from third-placed Waterford, as the Shannonsiders closed the gap on Sligo Rovers in eighth to just two points. Limerick: Tommy Holland, Kilian Cantwell, Eoin Wearen, Killian Brouder, Billy Dennehy, Will Fitzgerald, Shane Duggan ©, Darren Murphy, Cían Coleman, Barry Maguire (Karl O’Sullivan 31), Connor Ellis (Danny Morrissey 72). Goals: B Dennehy (34 pen), S Duggan (83). Booked: K Cantwell (78). Sent-Off: E Wearen (3). Unused Subs: Jack Brady (GK), Shaun Kelly, Tomás O’Connor, Adam Foley, Colman Kennedy. 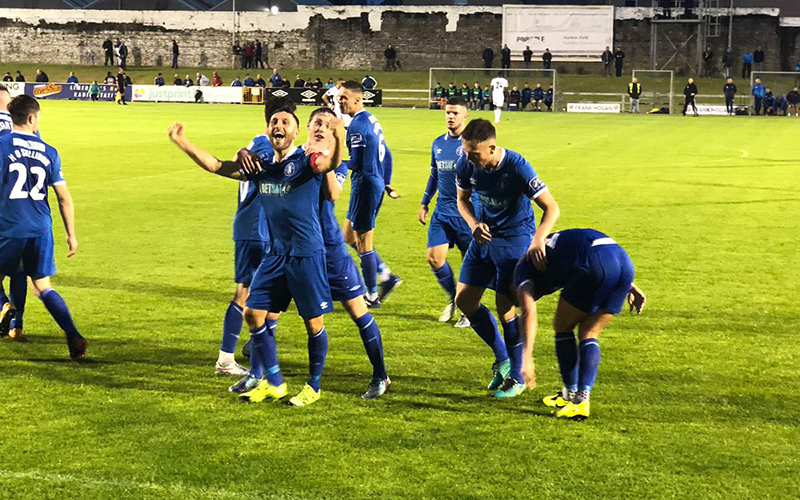 Waterford: Matthew Connor, Kenny Browne, Dylan Barnett, Dave Webster, Dessie Hutchinson, Stanley Aborah, Bastien Héry, Sander Puri (Rory Feely 58), Paul Keegan © (Carlos Wilson 80), Noel Hunt, Courtney Duffus (Ismahil Akinade 58). Booked: D Webster (33, 45+4). Goal: B Héry (47). Sent-Off: D Webster (45+4). Unused Subs: Niall Corbet (GK), Dean O’Halloran, Gary Comerford, Noe Baba. Referee: Damien MacGraith (Mayo). Attendance: 1,040 (Official).